v3.92 - a secret upgrade to PD core. v3.76 - Simulation: Well builder - effort, time, total cost, pump up energy, and water volume. v3.76 - Simulation: Well with Water Reservoir Battery for a House. Is it possible? 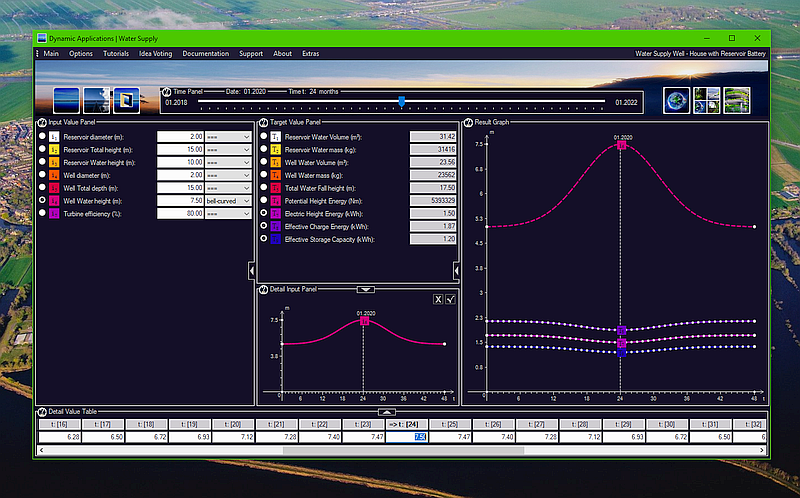 v3.76 - is the first public version of the Water Supply simulation model product.